Every now and again, something so badass comes around that we just have to share it. Enter the “Story of the Knife” from Knife Depot. We’re so confident that this new Knife Depot video will relate to you that we’re giving away this tactical knife just for watching it. Here’s how you could be the lucky winner. 2. Write the name of one of the knives you see in the video in the comment section below. 3. Receive a bonus entry by leaving a comment on the YouTube video telling us why you love knives. You can also click one of the tweet, share on Facebook or share on Reddit icons below for some extra luck. It’s as simple as that. 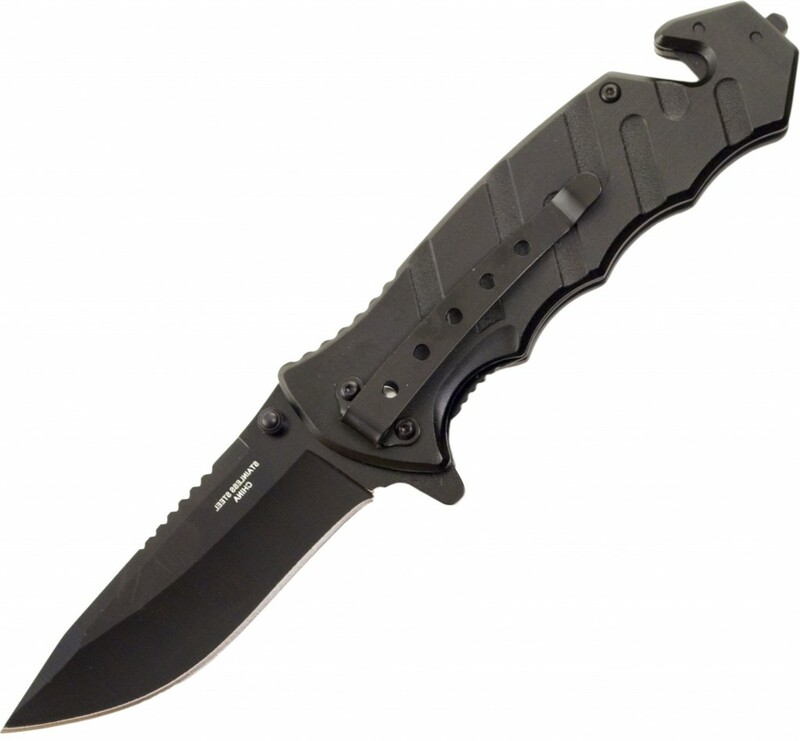 We’ll announce the winner at the end of the week, so start watching for your chance to win the Assisted Opening Tactical Rescue Pocket Knife from Trademark Knives. Why Does Google Lust for Amazon and Loathe Knife Depot? Love all knives but the Schrade survival bowie marked knife depot looks amazeing would love to own one!!!! Gerber bear grylls ultimate folder knife. KA-BAR Leather Handled Fighting Knife. Gerber gator I had one for about 20yrs and the tip broke. But it was the best knife I’ve ever owned. You know you can contact Gerber and get a new one? They Have a lifetime warranty on all their products! gerber, knives are tools we all use for different things. most men always have at least one on them every day. The Ka-Bar or The Gerber Bear Gryhlls Compact Scout Folder. GS knife and the Gerber. I love all knives and have collection. Black Magnum, great video this is me. I love the out doors . all the Knives ive gotten from you so far are a major help in the great out doors keep up the great work!!!!!!!!!! KA Bar, Gerber Gator, knives are great tools and are very use full, hunting, campind and defence. Gerber, Schrade. My computer crashed and I’m using one that’s 8 years old. Choppy video and no sound so I was just able to get glimpses. Win or not I’ll only buy from Knife Depot. KA-BAR and a lot of Gerber. Would be nice to own all the products shown, but of all knives the Schrade survival bowie marked knife depot looks amazing would love to own one!!!! Schrades craftsmenship is so skillfully designed.